When I went back to work after having my first baby pumping became a way of life. Every day I’d make my way into my pumping area and hope that I got enough for my little girl for the next day. 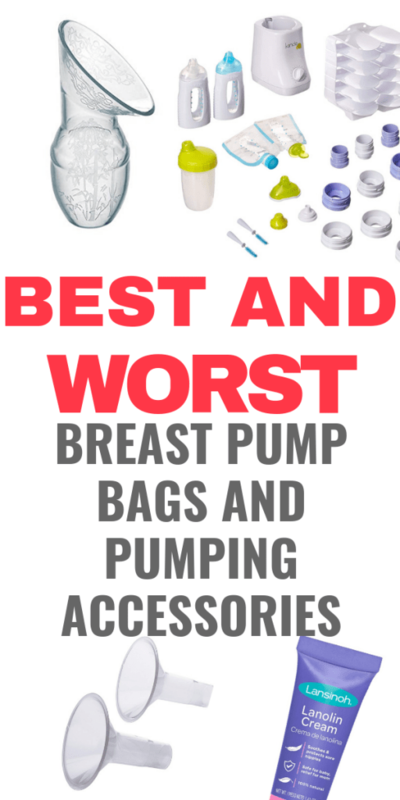 I did this every day for over a year, in that time I found some of the best and worst breast pump bags, pumping parts, and more! This post is all about what breast pumping bags and accessories really worked and didn’t work to give you an idea of what you need for your upcoming pumping journey. We’re going to start with your pumping bag. This bag is the most important thing you’ll get besides your pump! It can either make your life way easier or make it a real pain. 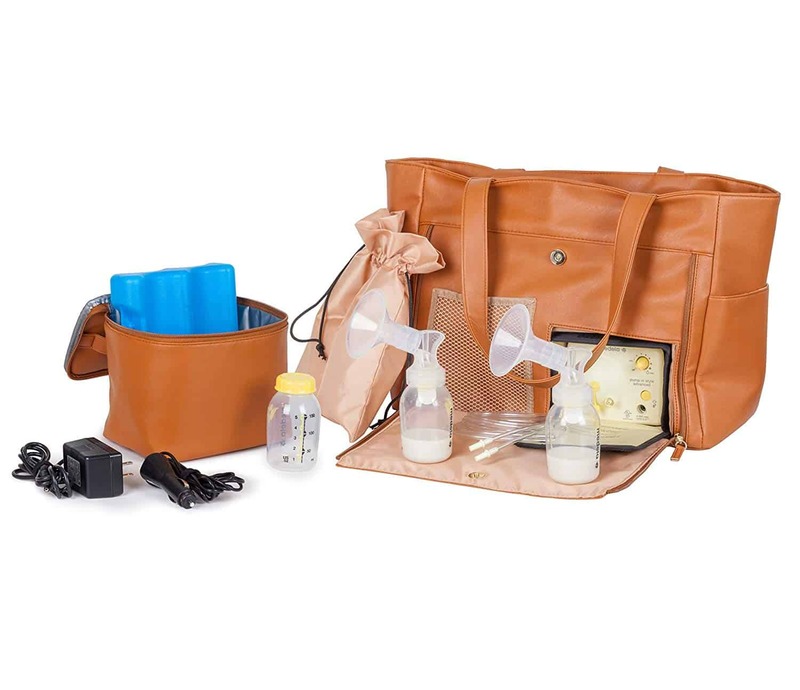 Here are some of the best pumping bags on the market now, they’ve improved so much since I had my daughter! Enough storage to be a work bag and a pump bag, no one wants to carry two bulky bags. A section or enough room for an insulated insert. Plus for a zippered bottom that makes your pump easy to get to. 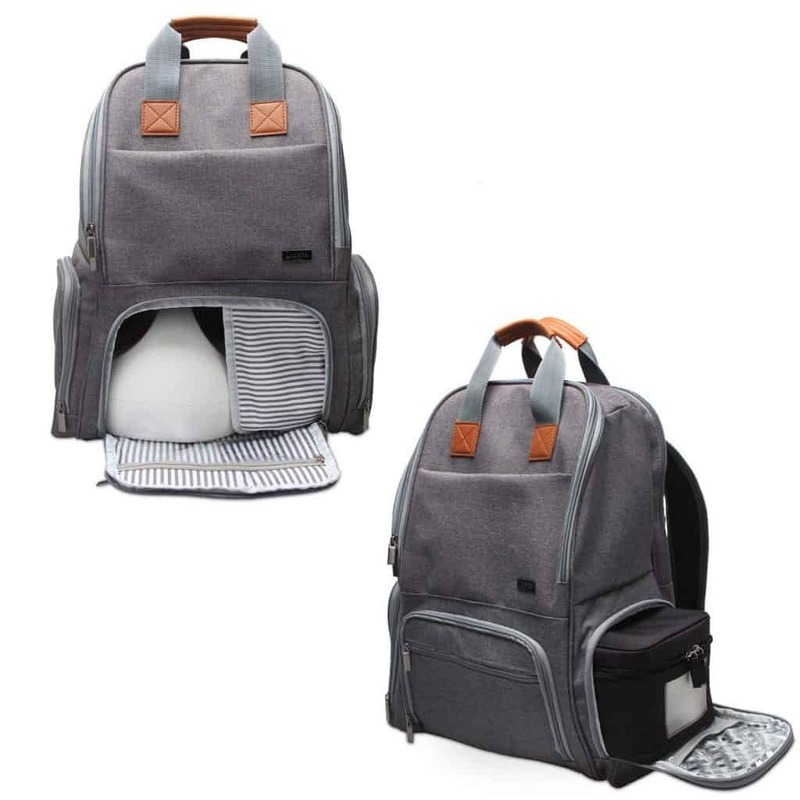 The more I carry bags and my little ones at the same time the more I appreciate backpacks. 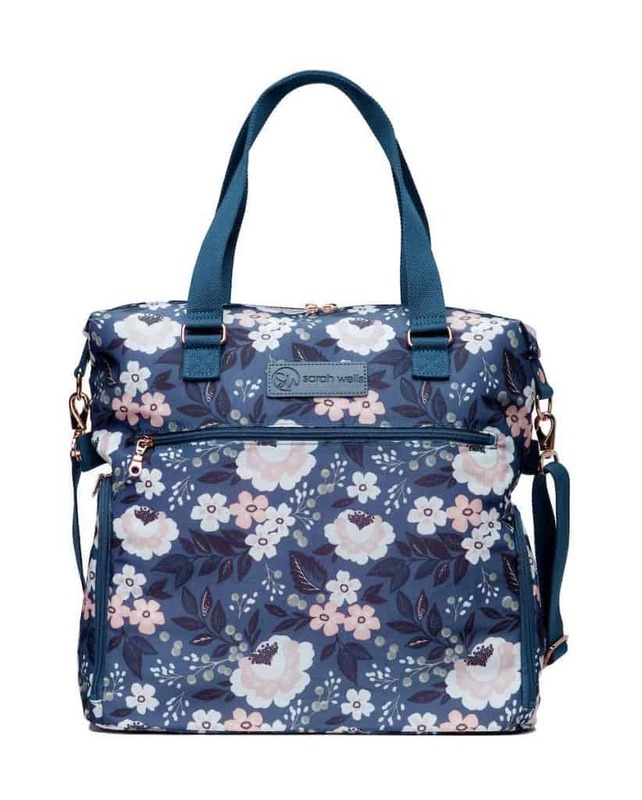 This bag is probably my favorite of all the pump bags because it meets all the criteria I listed above and it is super cute for it’s price. This bag is seriously beautiful and has all the great features. My only complaint is the price, it’s a little much for me. But if you are looking for a quality bag, this is it. If you want this look but cheaper check out this bag instead. Who says you have to go neutral with your bag? 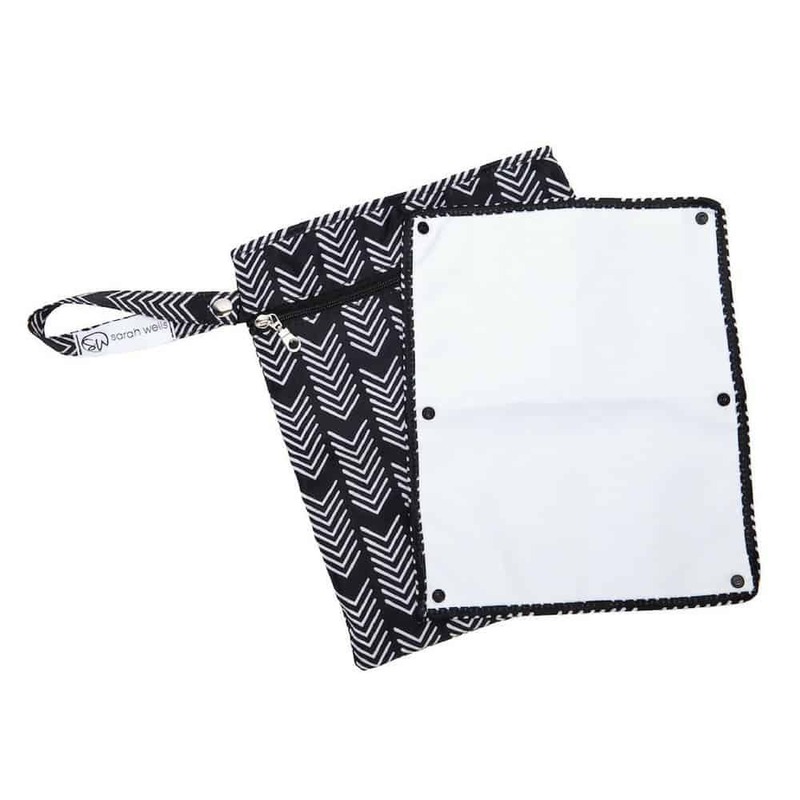 This is one of the cutest patterned bags I found on my search for the best breast pumping bags around. I love how much space this bag has, and that it has a removable insulated insert! Instead of a size zipper like most bags, this one has a flap that just flips down. Plus it is probably the best-priced bag on this list. Don’t underestimate when the name of this bag says large, it is seriously massive. This bag will fit literally anything you need along with your pump. 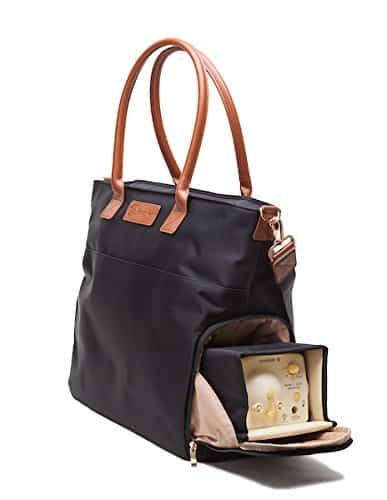 This would be a great breast pumping bag for a mom who travels! These breast pumping accessories are the best things that I used on both of my breastfeeding journeys as a working mom and a NICU mom! There are certain products that are just better and SO much more needed than others. Now this one isn’t an accessory, but it is an awesome resource for any mother to be! Pumping is hard especially as a first-time mom. 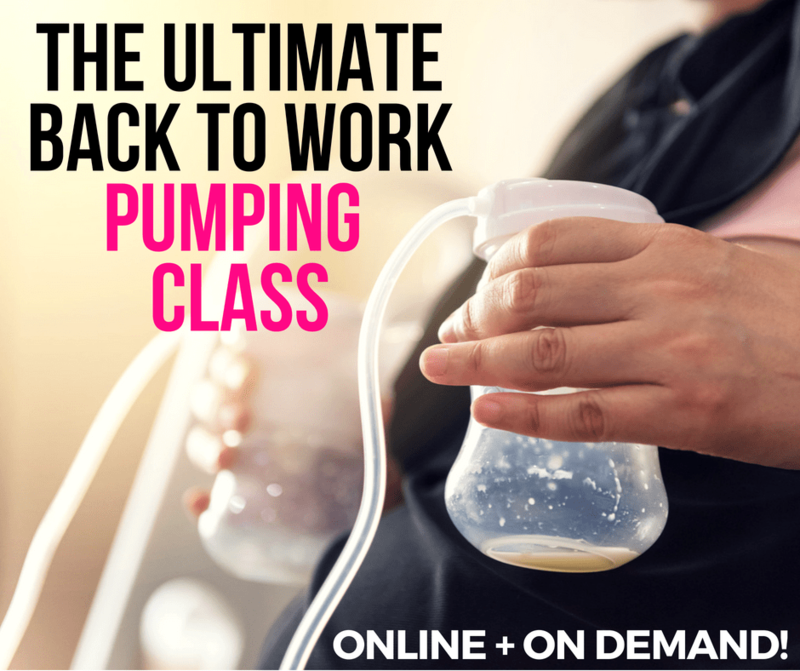 Taking this class made me feel a lot more confident in my pumping prowess and helped me make sure I was pumping enough for my son! Check out the class here or click the image below! Sometimes finding the time or a place to pump get’s a little difficult. 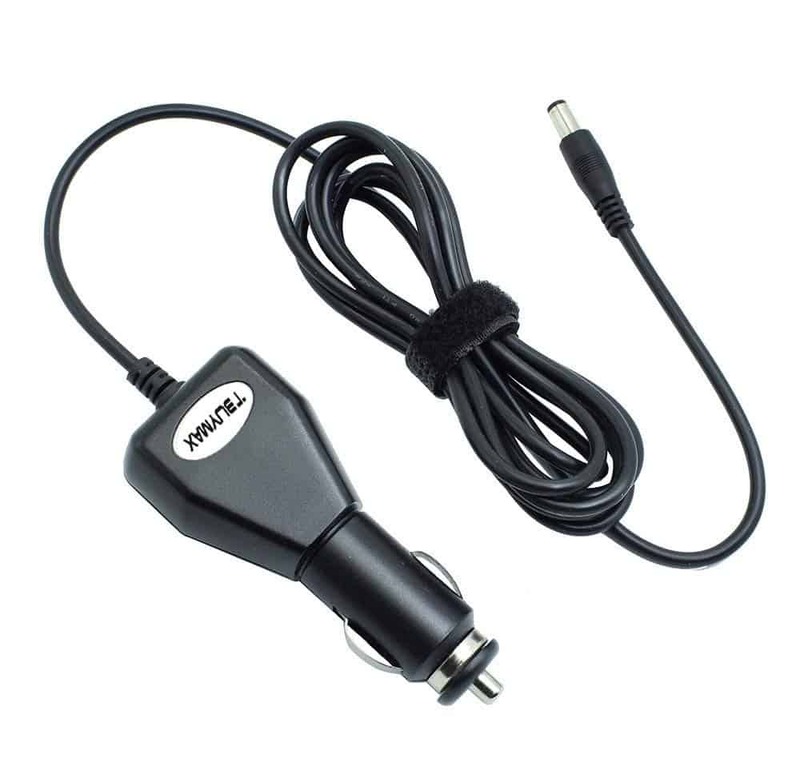 Medela or Spectra car adaptors are super easy. While your employer is required to provide you with a place to pump in the U.S., sometimes it is hard to find a place to pump in everyday life. Having a car adaptor on hand for those crazy times is an absolute lifesaver. Don’t wait till you need it, be prepared! As a pumping mom saving every drop you can is imperative. The Hakaa makes it so easy! 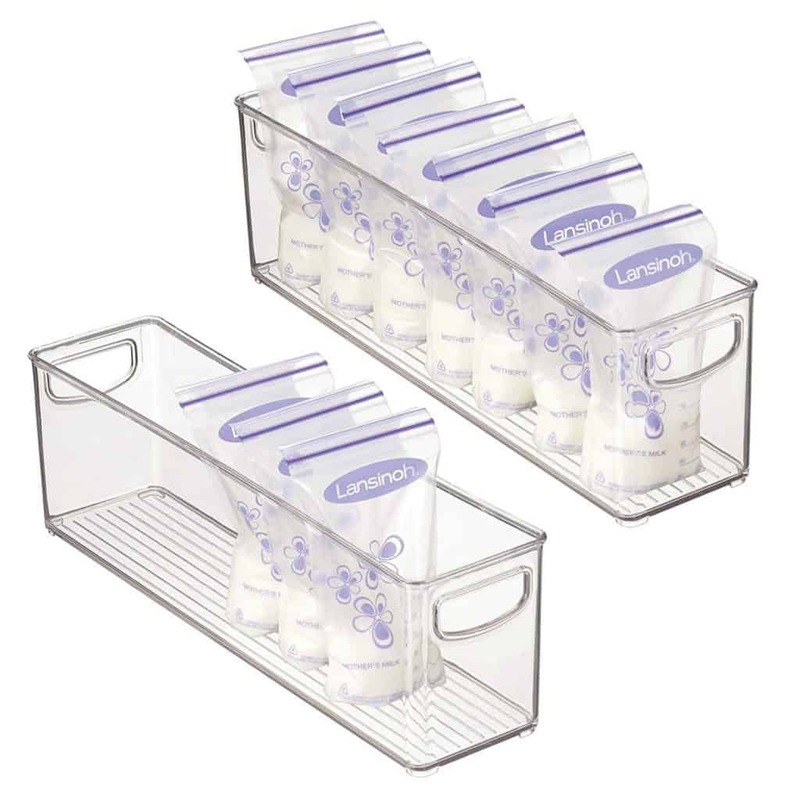 If you breastfeed your baby at home this is the best way to stash some extra milk in your freezer. You put the Hakaa on the opposite breast while feeding and you can catch any extra milk that leaks out. It also works as a manual pump. Obviously, you don’t want to have to hold your pump to your breasts the whole time you pump and while you can try a DIY version of a pumping bra this is one of those things that you just need to buy. I never wore mine as an actual bra, just changed into it before I started pumping and out after I was finished. Medela or Spectra both have extra pumping parts available and I would totally advise that you have at least two sets of parts before you start pumping full time just in case you need them. If possible leave an extra set at work or where you pump as a backup. When you are pumping you always want to write down the date and the ounces pumped on your storage bag. 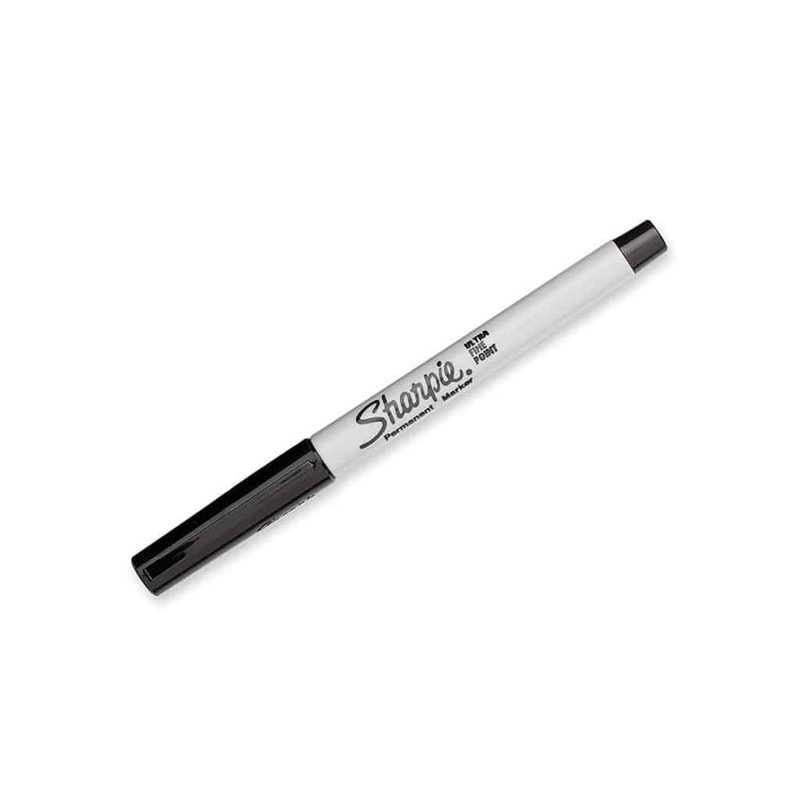 Sometimes a normal pen works fine on these but it is SO much easier to use a fine tip sharpie and it doesn’t wipe off after the fact. I’ve tried many many different kinds of bags. 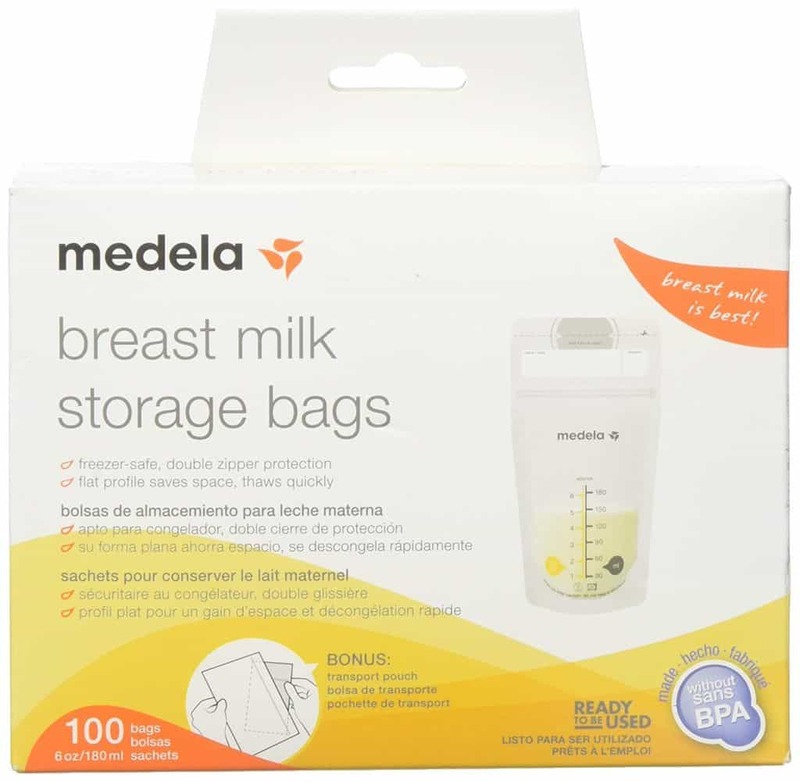 The best ones I’ve used so far is the Medela Breastmilk Storage Bags. They don’t leak after freezing and make it easy to pour in milk after pumping. 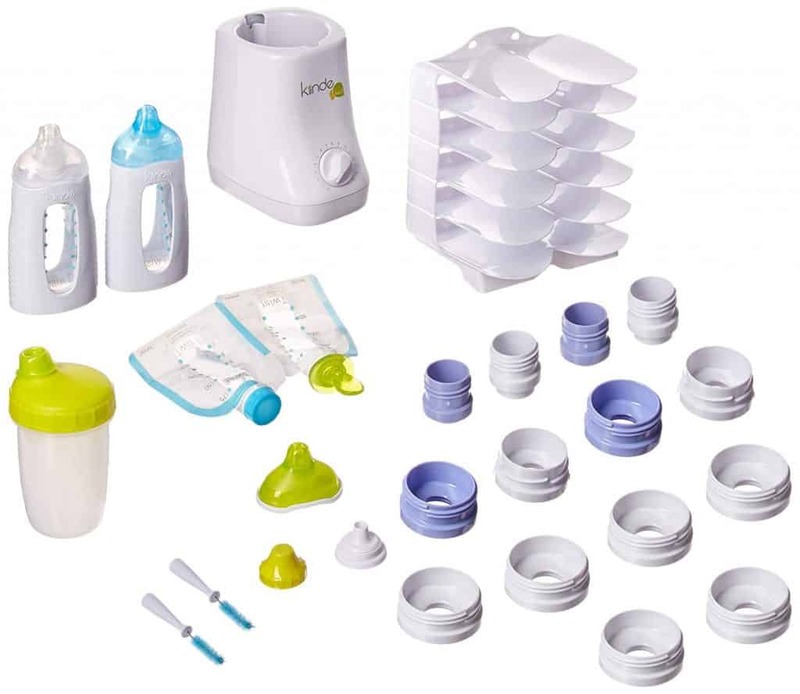 If you are looking for the easiest possible breast pumping system look no further than the Kiinde set. I am going to be really honest, I am way too cheap to buy this, but after going through pumping I can tell you this makes this SO much easier. If time is an issue for you this set could be your best friend. Ok, I may be a little bias here. But this is my FREE eBook and I definitely think it’s something you need before baby comes. I go over the most important aspects of getting ready for baby along with some great tidbits on what you need for baby along with a printable checklist with all the new baby must-haves. 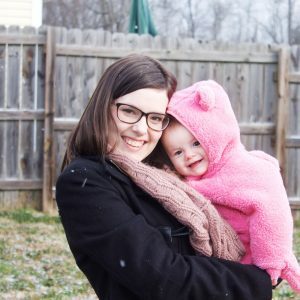 Other things included are getting your finances in order for baby (even if you don’t have a lot of money), getting your home ready, some great classes that helped me a ton, and more! Sign up to get your free eBook below. So these breast pumping accessories are ones that you really don’t need or are just straight up the worst things you could buy for your pumping journey. 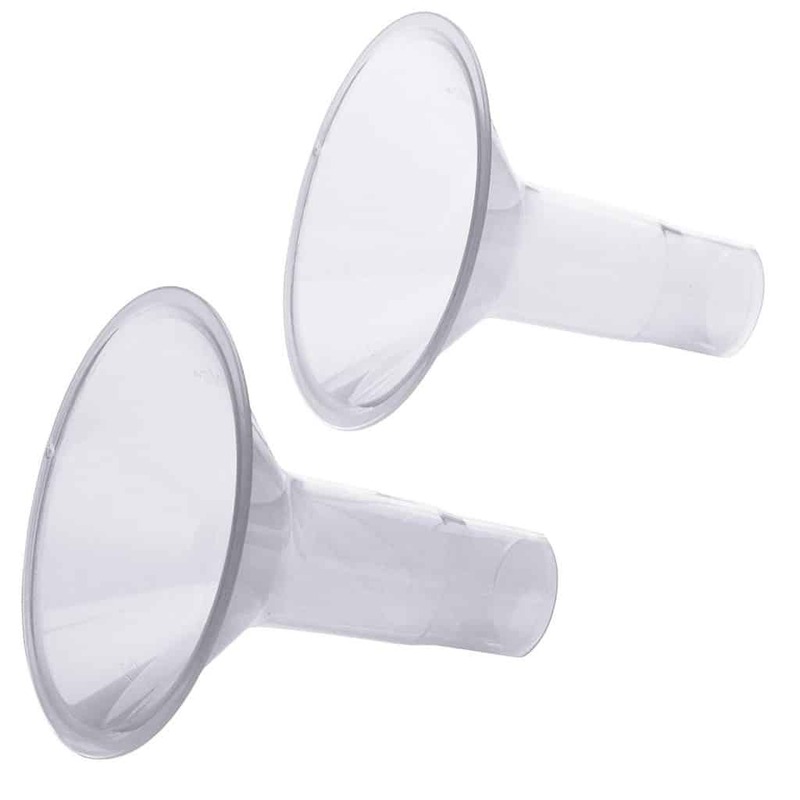 Pumping is hard enough without adding the additional stress of crappy breast pumping accessories to it! You absolutely do need breastmilk bags but do not get these! Lasinoh bags are notorious for leaking when you thaw out your frozen milk. 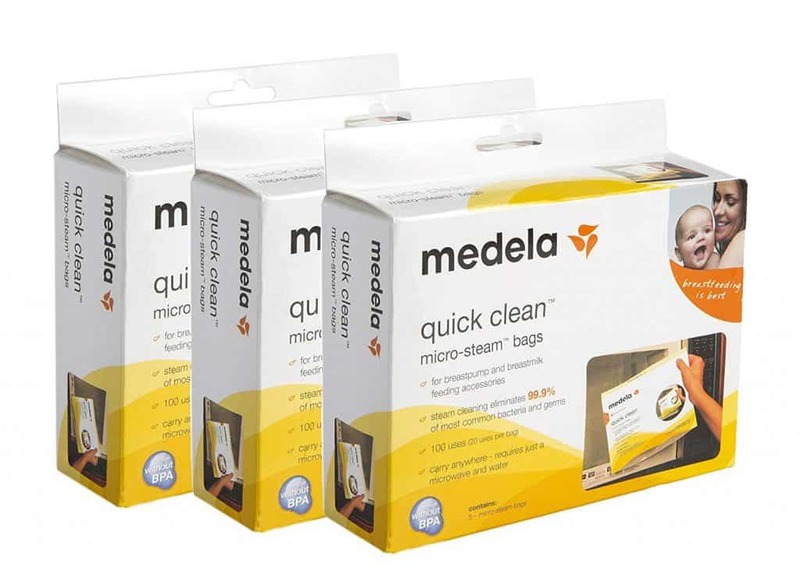 I’ve used Medela breastmilk storage bags with a ton of success! 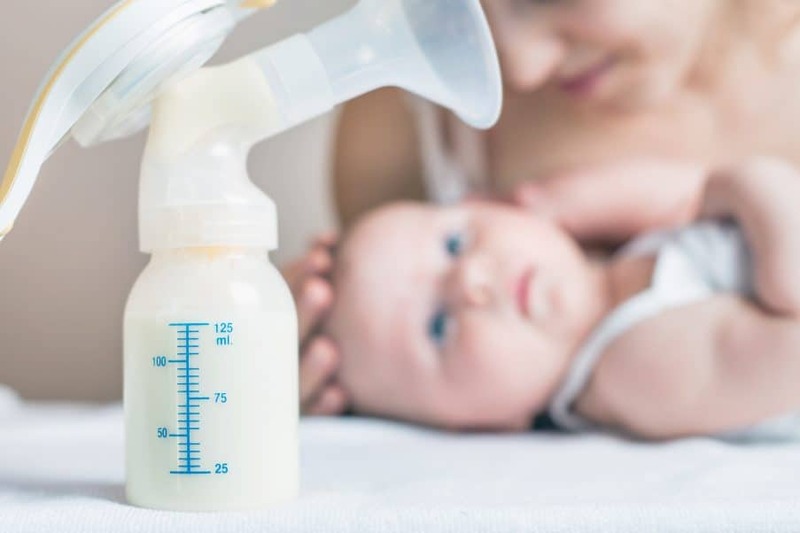 While Breast pump wipes may come in handy if you have no access to a sink whatsoever, the best thing to do when trying to clean your pumping parts is to use water since there are so many nooks and crannies in pumping parts that you just can’t get to with a wipe. Make sure you are up to date on the CDC’s newest recommendations for often to clean your pumping parts! While these fancy pieces of plastic look handy it is SO easy to make your own breastmilk storage out of gift bags or soda can boxes. If you do a quick search on Pinterest there are some really simple tutorials that make this a breeze. This bag may have been a good idea originally, but as a mom who pumped at work for over a year, I can confidently say its just one of those things you don’t need. It looks too small as well to act as an actual bag for all the pumping parts you will have. Alternatively, I would always dry off my pump parts after giving them a rinse and then put them in the lunch bag that I kept them in inside of the fridge at my work. While sanitizing bags look like a really easy way to clean your pump parts I personally have not had a ton of success with them. They should last for 20 uses but I’ve had multiple bags break after a couple uses, so I just gave up on them. If these did work as advertised, they would be lifesavers! But the cost outweighed the convenience for me. Have any thoughts on this list or favorite accessories that I missed? Let me know in the comments below! These are spot on. 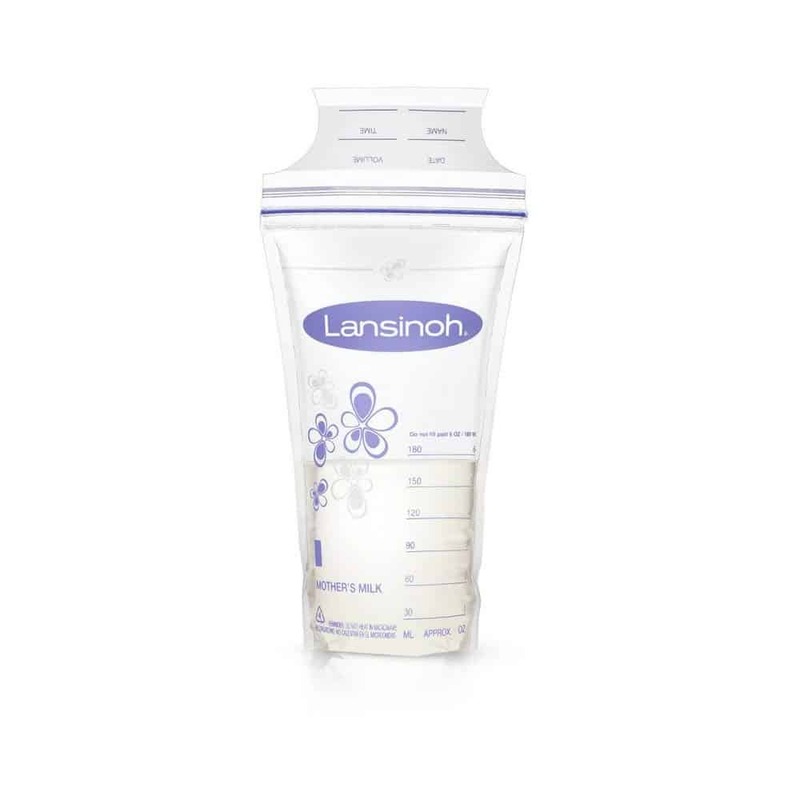 I have most of these items and agree with you 150% that the Lansinoh breast milk bags are the WORST! I have discovered leaked bags numerous times before I swore them off forever. I’ve since switched the to the Medela brand and so far no leaks/wasted breast milk. Great informative post. Thanks Asia! Leaking bags are the worst, it’s enough to make you cry sometimes! So glad you liked the post.